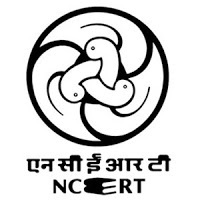 NCERT Jobs Recruitment Notification 2018.National Council of Educational Research and Training inviting applications for the positions of Data manager, consultant, system analyst, web developer, survey associate, computer assistant, D.T.P Operator roles.Interested and Eligible candidates can apply for the positions. Total number of vacancies to be filled in NCERT is 19. Post wise vacancy details are given below. Graduation degree holders can apply for Computer assistant and D.T.P operator jobs. For remaining posts the qualification is Post graduation/ MCA in relevant discipline from a recognized university. On Scheduled dates i.e 5th, 8th, 9th, 10th, 11th, 12th, 15th & 16th October 2018 candidates along with all essential documents may appear for NCERT recruitment. Educational Survey Division (ESD), Room No.14, 4th Floor, Zakir Hussain Block, NCERT, Sri Aurobindo Marg, New Delhi-110016.